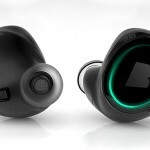 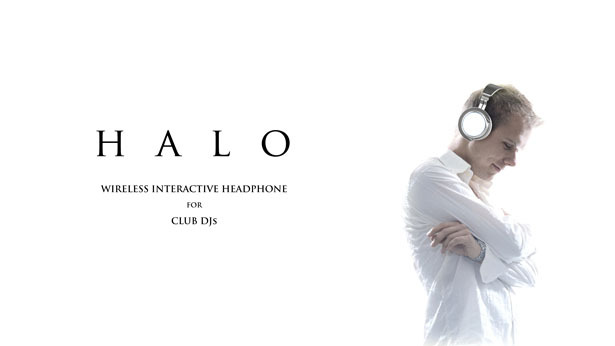 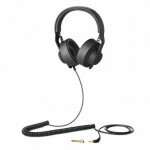 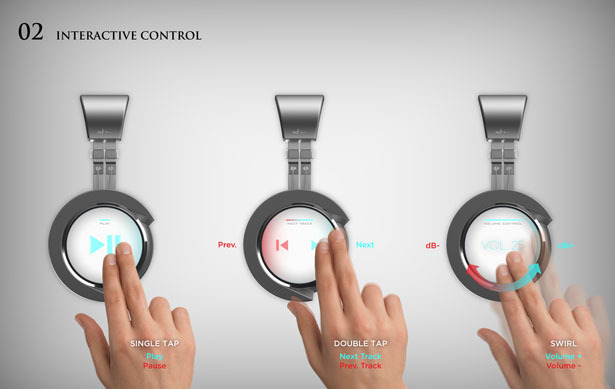 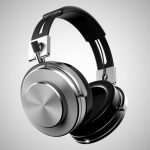 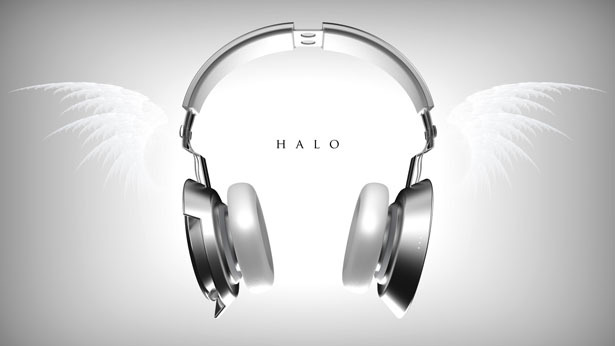 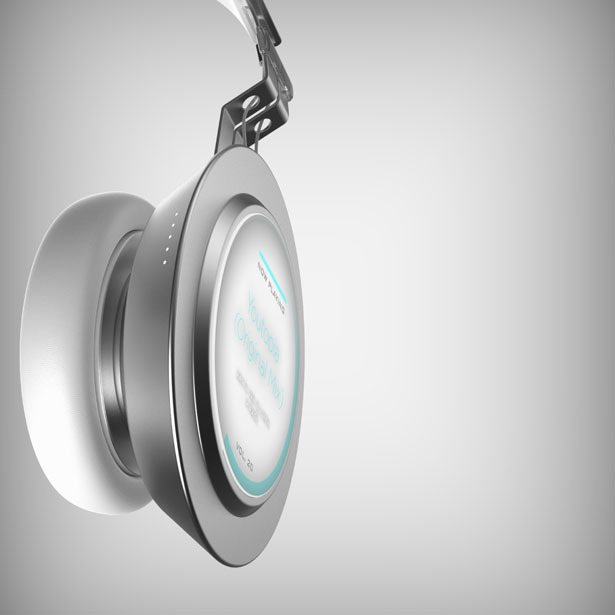 HALO Wireless Interactive Headphones provide new experience for its user, especially professional club DJs. 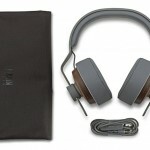 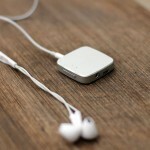 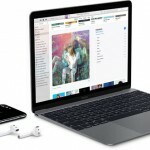 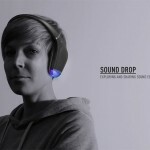 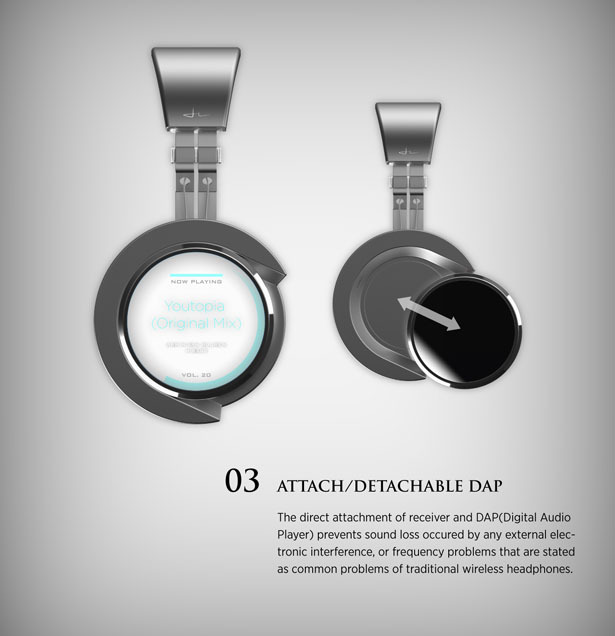 These headphones integrate portable DAP (Digital Audio Player) which can be detached and used as separate device. 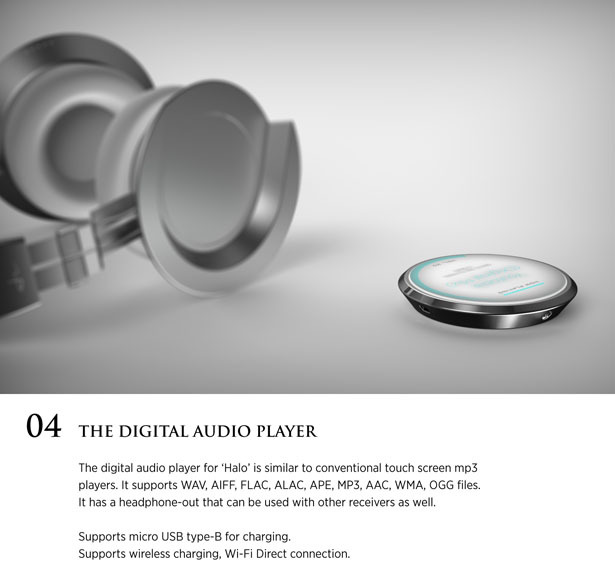 This direct, cordless attachment of receiver with DAP allows for less frequency interference to eliminate poor sound quality experience to the user. 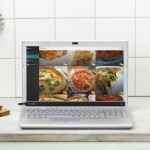 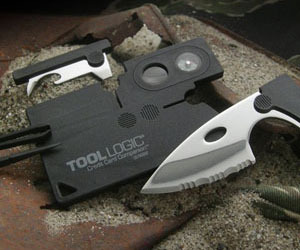 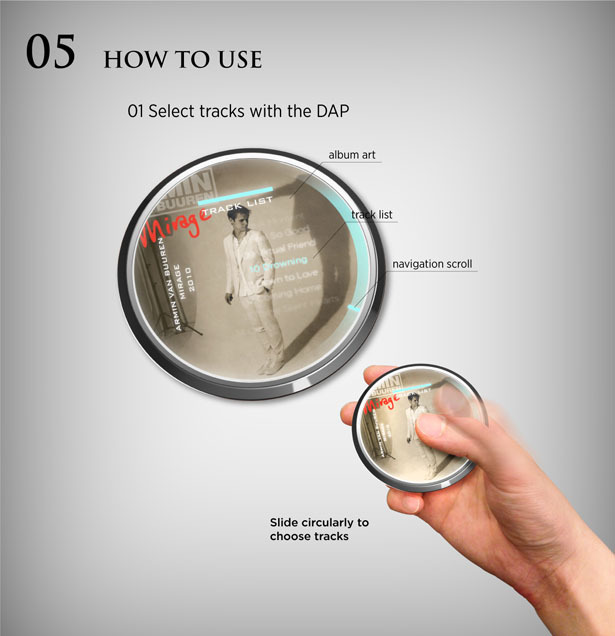 The touch screen controller of DAP allows for an interactive control at the touch of your finger. 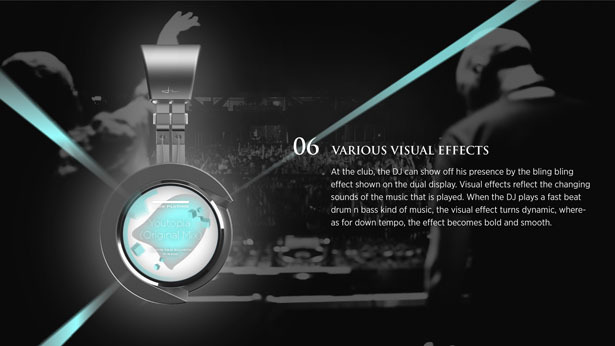 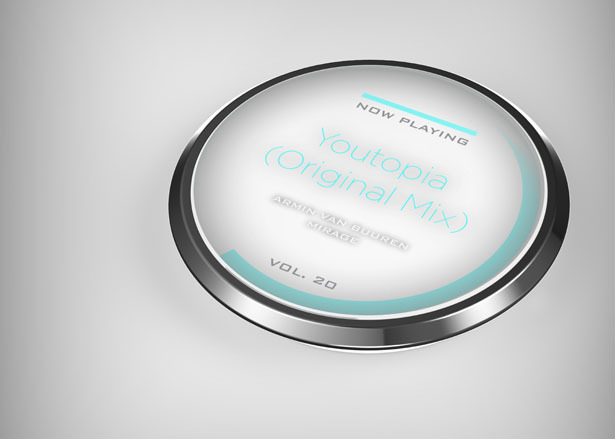 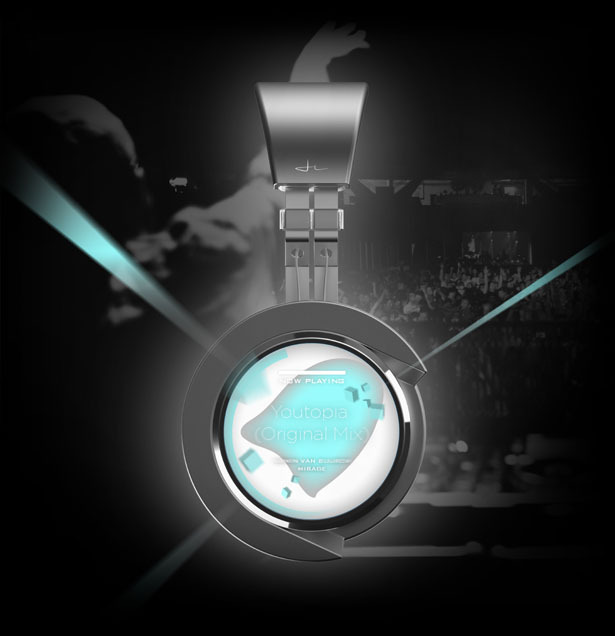 It can also display cool visual effects when the DJ is performing in the club, creating a halo light encircle user’s head. 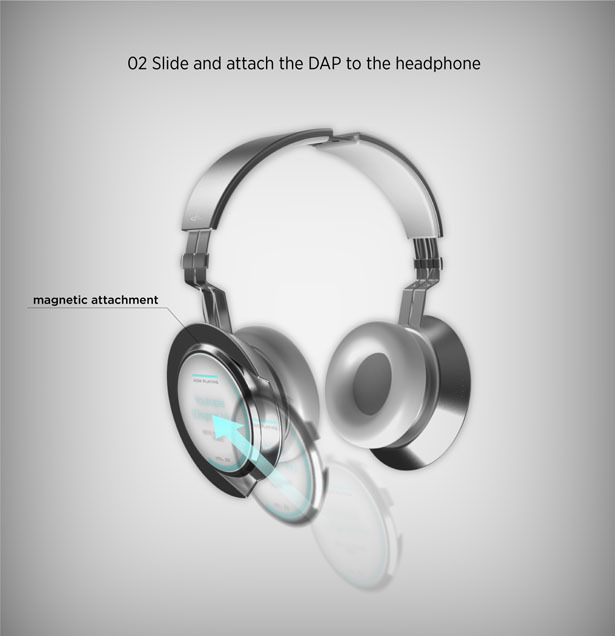 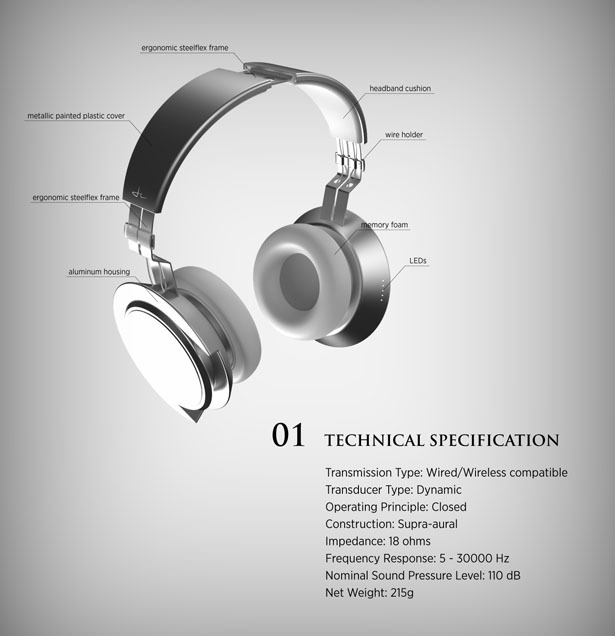 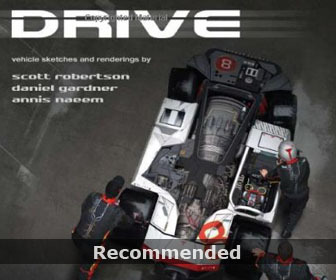 Tuvie has received “HALO Wireless Interactive Headphones” from our ‘Submit A Design‘ feature, where we welcome our readers to submit their design/concept for publication. 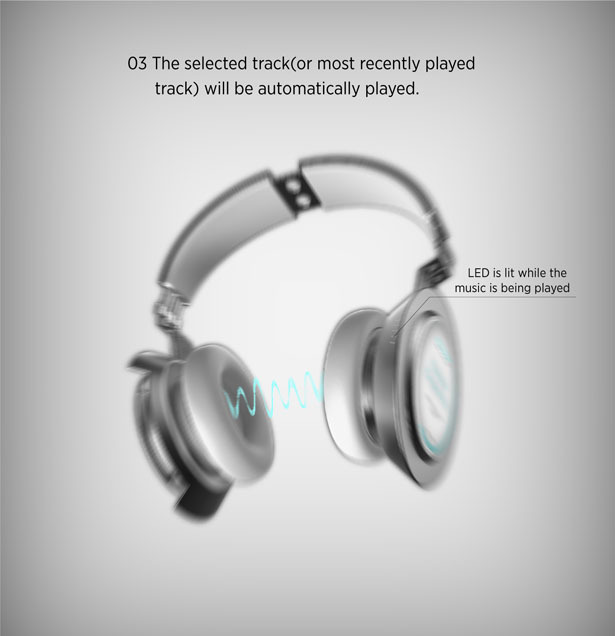 Tagged as frequency interference, halo, interactive control, poor sound quality, professional club, touch screen controller, visual effects.